The Rocketeer and the Martian are the hardest figures to get, coming in at 1/72 chance, while Jayne Cobb is next in line at 1/36 chance. Ah, the joy and frustration of blind boxed items. Look for the figures to hit in September. See the images, including a full rarity breakdown, after the jump. The article says that's "Robot B9," which is the robot from Lost in Space. But the robot pictured is actually Robby the Robot from Forbidden Planet (and other things). 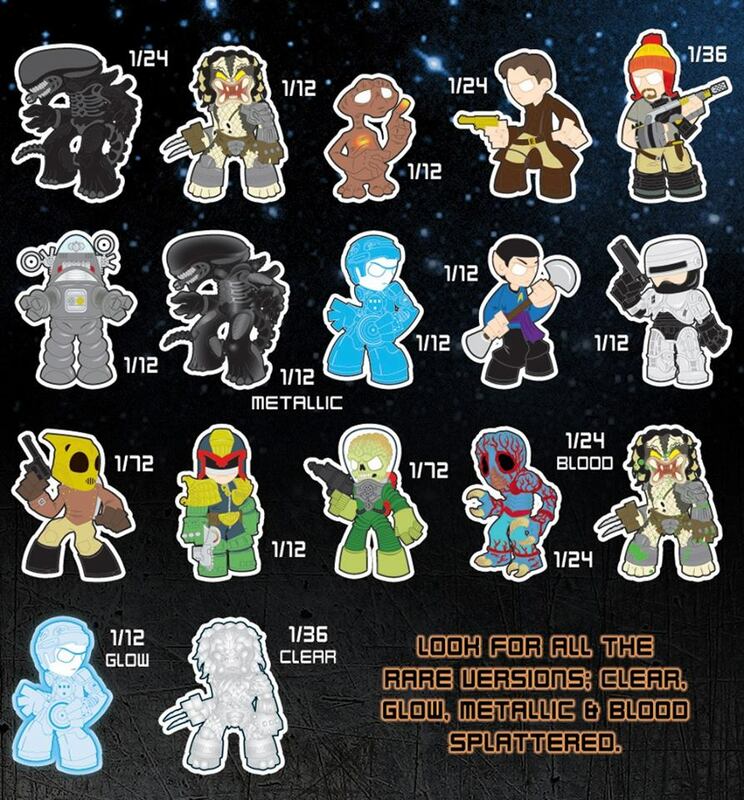 These are neat, the only one I don't understand is the metallic Alien. In the movie the Alien was slick and slimy not really metallic, but that's not my main problem, my main problem is that the metallic version is easier to find than the regular. That just kinda bothers me. I'll grab the Tron on second hand. As one of the easiest ones to get, I'm sure people are going to be dumping them online. Not enough Tron stuff out there, so I'm happy to grab this. The Robocop and Predators are must grabs for me, as is the Dredd. 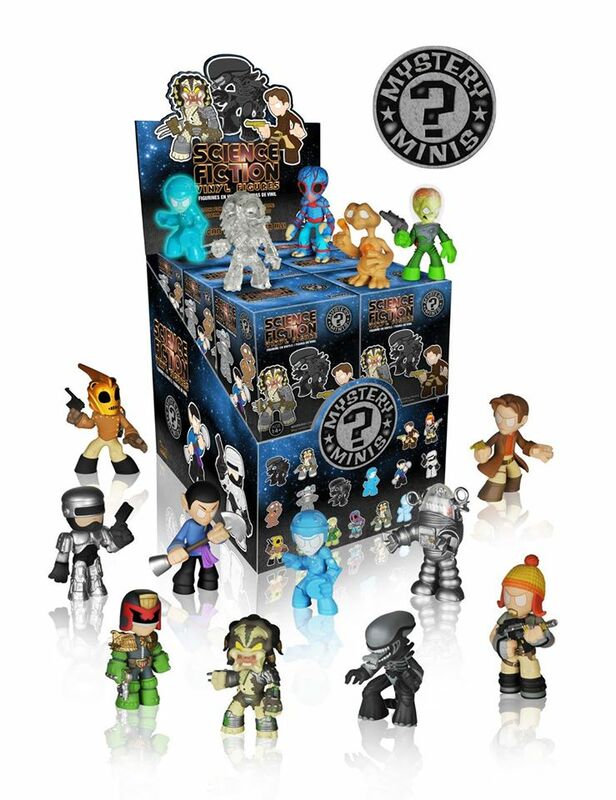 For the price point though, I'll more than likely be scouring ebay for them like I did for the horror series. Five or six dollars for a blind bag is really just too much these days. Robot B-9 was originally planned for the line, but didn't make the cut. 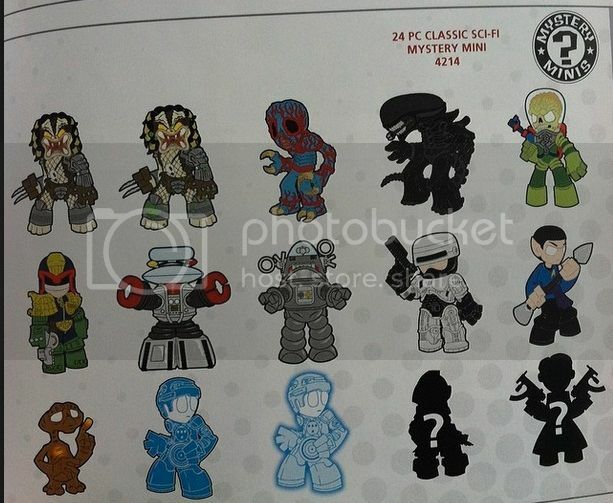 It also looks like there was supposed to be a Matrix Neo and an original Cylon. Mal, Jayne, and the Rocketeer. Even though I like some of the other characters, I don't like the figures quite as much. But I need me that Rocketeer. For people looking at the rare ones, like The Rocketeer, it might be easiest to buy a case, open them all and then sell what you don't want. People are going to be hunting those 1/72 ones.